Tags: Bryn Kenney, Daniel Negreanu, high stakes. Posted on Wednesday, January 03, 2018 by "T". Many people who aren't too familiar with the ways of the poker world may believe that those poker pros who win at tournaments get to take all the millions of cash they won with them, but little do they know that there's a lot more being lost when it comes to huge buy-ins, re-buys and not to mention the scores of other little deals (i.e. sponsors) to settle after a tourney has been won. Take for example Daniel Negreanu who showed his year end results for 2017 and while he has cashed for $2,792,104, he unfortunately used up $2,874,164 in tournament buy-ins, thereby he ended the year with a loss of $86,140! 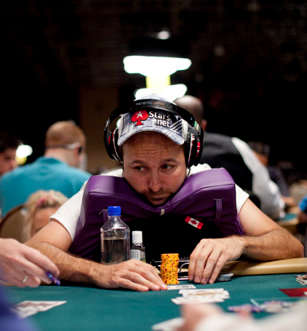 Negreanu said, "Considering my average buy in on the year was $40,481 this is about as close as you can get to breaking even. In fact, after my $936,000 score I was up on the year but played a couple of the one day $25k events at Bellagio, rebought a few times, and ended the year in the red." However, on to the brighter side, there's a handful of poker pros who had thoroughly enjoyed 2017, especially for American Bryn Kenney who's the top notcher on this year's list of big winners after he managed to win a total of $8,505,898! In the first quarter of 2017, Kenney has won many $25 Aria High Rollers and in February, he won more than $500k in the HK$1m entry Triton Super High Roller. At the PSC Bahamas, he won a sum of $1.5M, and after that his next big win was $1,946,911 at the end of April from the €100k Super High Roller at PSC Monte Carlo. 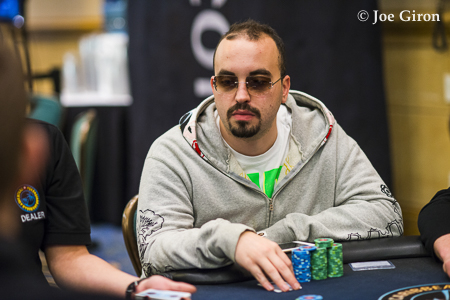 In August, he won many other big high roller events at the PSC Barcelona, making more than $780k in the process. Then in September, he won more than $1M at the inaugural Masters Series as he took down one of the €50k events for $960k and then final tabling another for $125k! Another $1.2M was added to Kenney's 2017 stockpile as he won many other high roller events between September to December. Fellow American Scott Blumstein and German Christoph Vogelsang were the other two poker players who have reached the $8M mark when it comes to total amount of cashes this 2017. Next on the list of top tournament cash winners this year is Steffen Sontheimer, who is actually having a blast as 2017 is his breakout year, cashing for a sweet $7,052,322! German boy wonder Fedor Holz is this year's top 5 on the list of most tourney cashes at $6,380,187. On October, the 24-year-old finished as a runner-up in the HK$1m Triton Super High Roller Main Event, bringing with him a whopping $2,100,086! Based on The Hendon Mob website (http://www.thehendonmob.com/#), below is the list of the top 10 live tourney cashes of 2017. 7 comments for "Bryn Kenney Is The Biggest Live Tournament Winner of 2017 "
My honest congratulations to Bryn Kenney The Biggest Live Tournament Winner of 2017, I really don't follow the news much about poker other then on this website. To get better at poker it is sometimes handy to analyze other players, maybe I am going to watch some videos about him or where he is playing in, who knows I can learn some extra techniques. you are never too old to learn. These people are breathing poker. In their place they will take a break to allow other players to earn fabulous sums of money because when you have money you can open some small businesses. To be honest if i were a professional i would be bored at one time. I can not always play poker without bothering me. Massive well done to Bryn Kenney, who managed to amass over US$8 million in live tournament earnings last year. I am pretty sure that his next accomplishment is right around the corner. Wishing him all the best for his next exciting endeavors. Never thought they reach that high. Not even close. But if you consider rebuying can get to the sky really fast. Three players on top of the list, all of them with a bit more than 8 millions for the year.